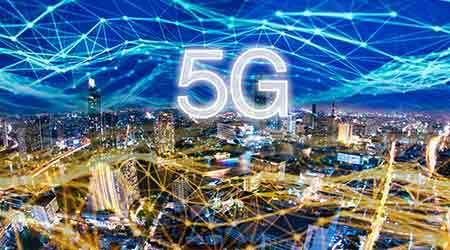 Deploying distributed antenna systems (DAS) can help facility managers reap the speed rewards of 5G. It’s clear that building owners who wish to stay competitive will have to provide increases in bandwidth and reductions in latency to meet demand from tenants. In other words, they need to prepare for 5G, now. Previously, carriers would finance the deployment of in-building cellular DAS. However, within the past few years, building owners have started to recognize the added value of providing cell coverage within their buildings, so this percentage is likely to increase. Another benefit of in-building cellular DAS is that it addresses a problem posed by new building envelope technologies. These technologies increase mechanical efficiencies, but they also block cell signals from exterior sites. To be competitive in the future, buildings will require DAS designs that support 3G, 4G, and 5G cellular technologies. DAS support of 3G and 4G signaling will need to continue, as there is a delay in the subscriber uptake of new technologies, and 4G is likely to be used to connect subscribers for the next 20 years. Therefore, 5G should augment and coexist with current cellular technologies, rather than replace them.